The large intact ecosystems of the world that hold significant levels of global biodiversity. The Integrated Biodiversity Assessment Tool (IBAT) for business provides a visualisation and GIS download tool for protected areas and prioritisation approaches, including High-Biodiversity Wilderness Areas. The High Biodiversity Wilderness Areas (HBWA) approach has been developed by Conservation International (CI). HBWAs consist of 5 of the 24 major wilderness areas that hold globally significant levels of biodiversity, as identified by Mittermeier et al (2002). 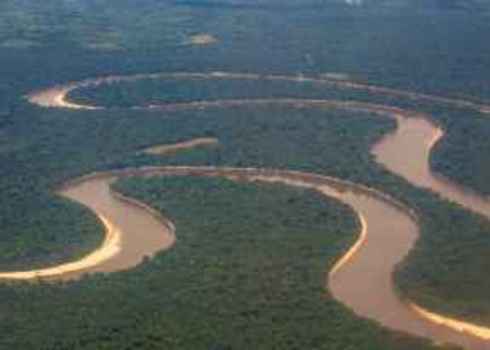 1 The 5 HBWAs are Amazonia, the Congo forests of Central Africa, New Guinea, the Miombo-Mopane woodlands of Southern Africa (including the Okavango Delta), and the North American desert complex of northern Mexico and the Southwestern part of United States of America. The intact portion of these areas covers 8,981,000 km2 (76% of their original extent), and 6.1% of the planet’s land area. 2 The geographic boundaries of the HBWAs coincide with the boundaries of several amalgamated WWF ecoregions. In the past HBWAs were mostly considered to have "low vulnerability" because of their low levels of past habitat loss. 3 However, recent analysis suggests that the high cultivation potential of many HBWAs makes them a target for future agricultural expansion. 4 Cropland expansion is one of the primary threats to biodiversity in tropical countries. 2002. This was a one-off scientific process and is not being updated. Global in extent, excluding marine areas. 1 Five identified regional-scale areas. There is no specific management associated with HBWAs, although they are the focus of some international conservation efforts. Biodiversity importance – HBWAs are based on high irreplaceability of species within large intact wilderness areas. Between them, the five HBWAs hold 17% of the global total of vascular plant species and 8% of the global total of terrestrial vertebrates as endemics. In comparison, all 24 identified wilderness areas only hold a fractionally higher percentage (18% of global total vascular plants and 10% of global total terrestrial vertebrates), which indicates the high level of endemism found in HBWAs. 2 This is a regional-scale approach based on coarse scale ecoregions that therefore has limited use for site-scale assessment and decision making. More detailed assessments are often needed to locate the actual distribution of biodiversity within these areas. Mittermeier, R. A., Mittermeier, C. G., Robles Gil, P. & Pilgrim, J. D. Wilderness: Earth’s Last Wild Places. 576. Conservation Interantional (2002). Mittermeier, R. A. et al. Wilderness and biodiversity conservation. Proc. Natl. Acad. Sci. USA 100, 10309–10313 (2003). Brooks, T. M. et al. Global Biodiversity Conservation Priorities. Science. 313, 58–61 (2006). Phalan, B. et al. Crop expansion and conservation priorities in tropical countries. PLoS One 8 (2013). Gorenflo, L. J., Romaine, S., Mittermeier, R. A. & Walker-Painemilla, K. Co-occurrence of linguistic and biological diversity in biodiversity hotspots and high biodiversity wilderness areas. Proc. Natl. Acad. Sci. USA, 109, 8032–7 (2012).